In this review we take a look for the first time at a Zenhiser sample pack. In particular a new release from them, ‘Melodic Trance MIDI‘. For those of you that haven’t heard of Zenhiser samples where have you been? In my opinion one of the best sample labels out there and that says a lot considering the amount of great sample labels that are putting out fantastic content for producers on a weekly basis. 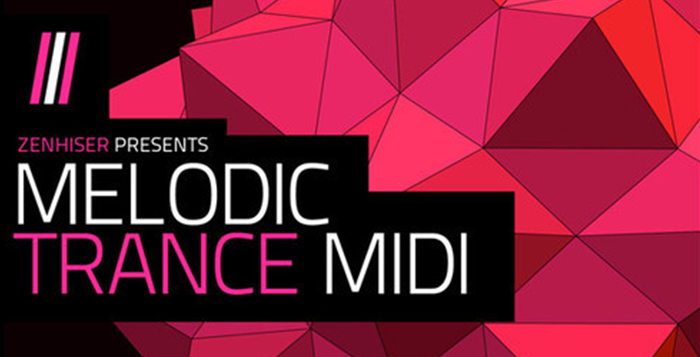 ‘Melodic Trance MIDI‘ gives you 632MB of great audio sample loops and MIDI content. You have Bassline Loops, Full Loops, Lead Loops & Synth Loops, and whats best is there all come with the MIDI file thats corresponds to each loop, so adapting and using the insertion for the melody or baseline in your productions is very easy. As always the quality of the loops and MIDI is excellent not only the audio quality but the melodies are unique, very workable and offer some super inspiration if you have a hit a wall on your creative ideas. All in all a fantastic collection of inspiring MIDI and audio loops for your next trance production. You can check out more inspiring sample packs and MIDI collection from Zenhiser here. Check out the demo of the pack below. Trance producers looking for some new inspiring sounds for your next project, will not be disappointed with this generous collection of unique loops and MIDI files.